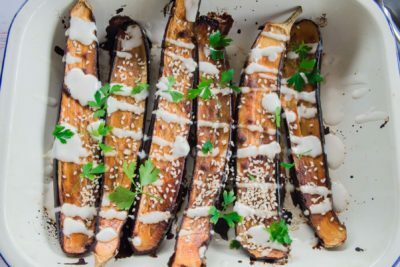 A very quick and easy Japanese inspired dish which features the unbeatable combination of ginger, sesame and soy. Soba is the Japanese name for buckwheat, which, despite it’s name is not actually wheat at all but a type of seed related to rhubarb! It has a high nutritional value, containing all nine essential amino acids including thiamine which is lacking in white rice – possibly why it was introduced to the Japanese diet. 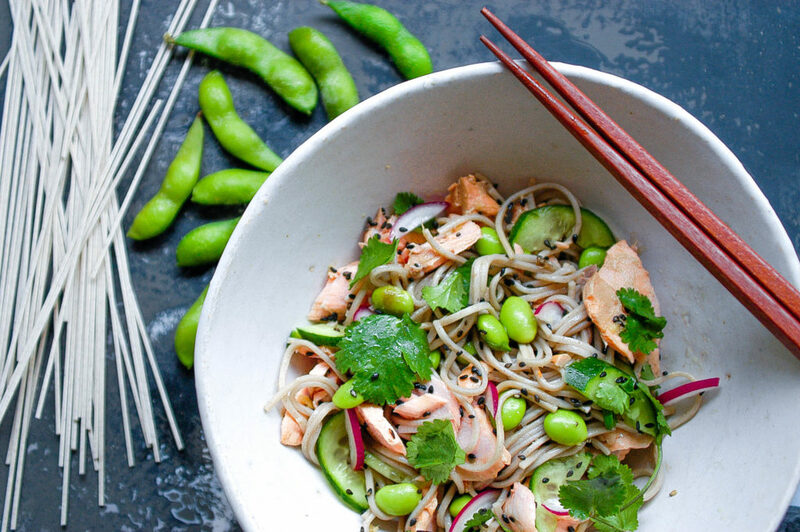 Soba noodles are usually made from a combination of wheat and buckwheat, but there are some that are 100% buckwheat if you want to make this gluten free. Place salmon in a medium size saucepan and cover with water. Bring to the boil and simmer for 10 minutes or until cooked through. Set aside to cool. Meanwhile, boil soba noodles in a separate saucepan for 3-4 minutes until soft. Drain and rinse with cold water. To make dressing, mix all ingredients together in a small jug or bowl. Flake salmon into chunks and place in a large bowl. 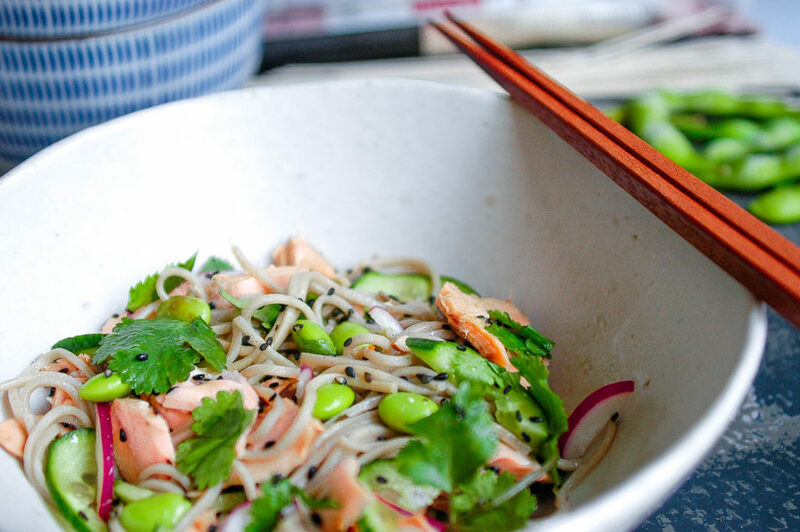 Add noodles, cucumber, edamame, coriander, sesame seeds, radish and dressing and toss to combine. Divide between two serving bowls and top with extra coriander leaves. *Edamame beans can be found in the freezer section at some supermarkets or health food stores, but if you can’t find them, fresh snow peas or frozen peas will be fine.